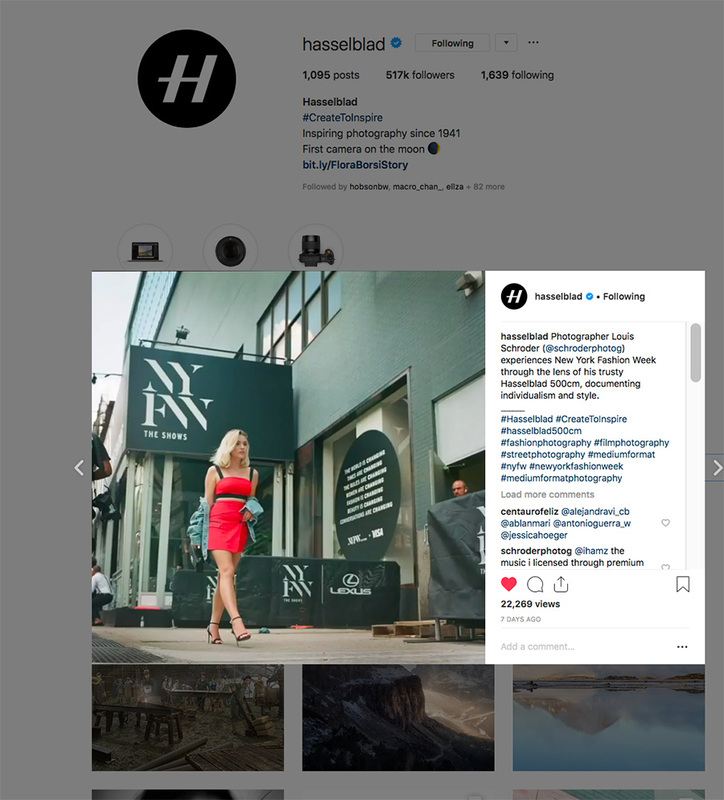 It was a great honor this past week when Hasselblad, one of the greatest camera companies of all time, featured my work throughout their social media platforms. 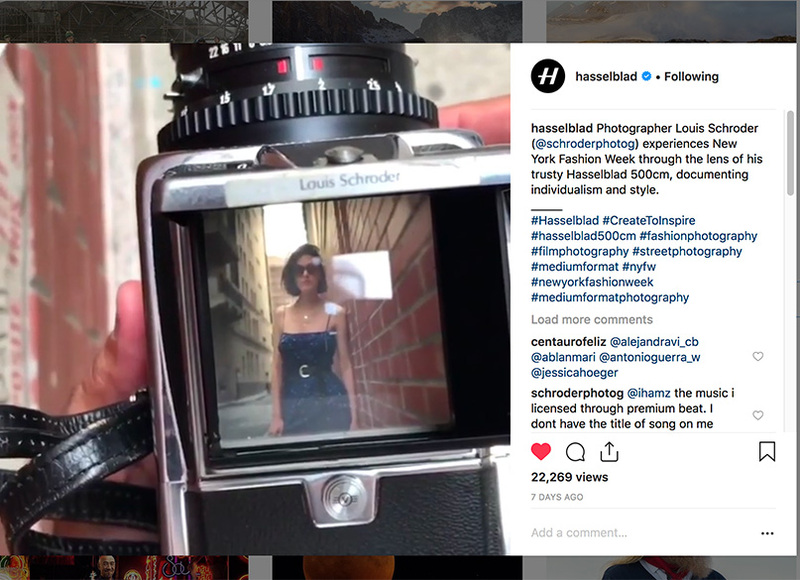 Hasselblad had seen my ‘Behind the Camera’ series where I take photographs with a Hasselblad film camera while documenting in video the behind the scenes action. They contacted me about featuring the video on Instagram, Facebook and Twitter and this past week they did exactly that. I have done the ‘Behind the Camera’ series on a variety of subjects including weddings and street photography. 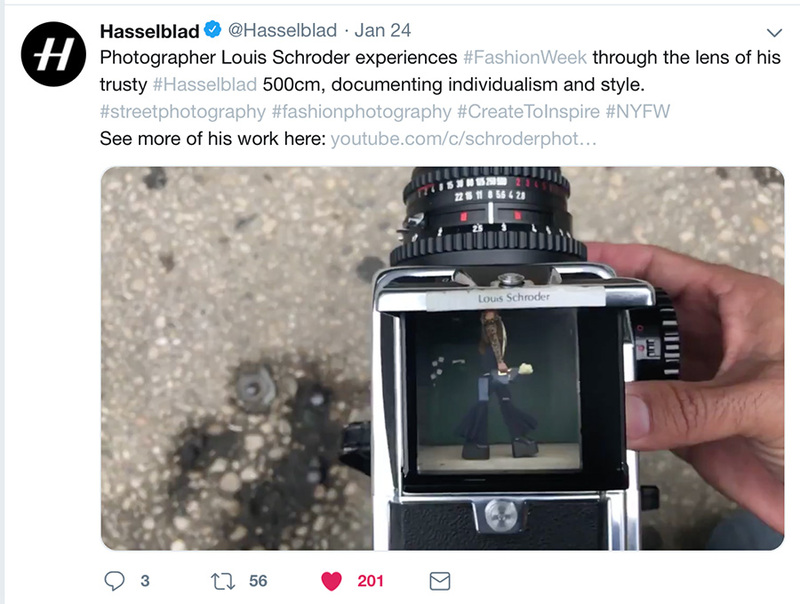 Hasselblad chose my Fashion Week video as the Feature. Hasselblad’s in my opinion are the greatest cameras ever made. High quality build and images. Even NASA thinks so as they took Hasselblads with them to the Moon during the Apollo missions. Yes, the first Camera on the Moon! 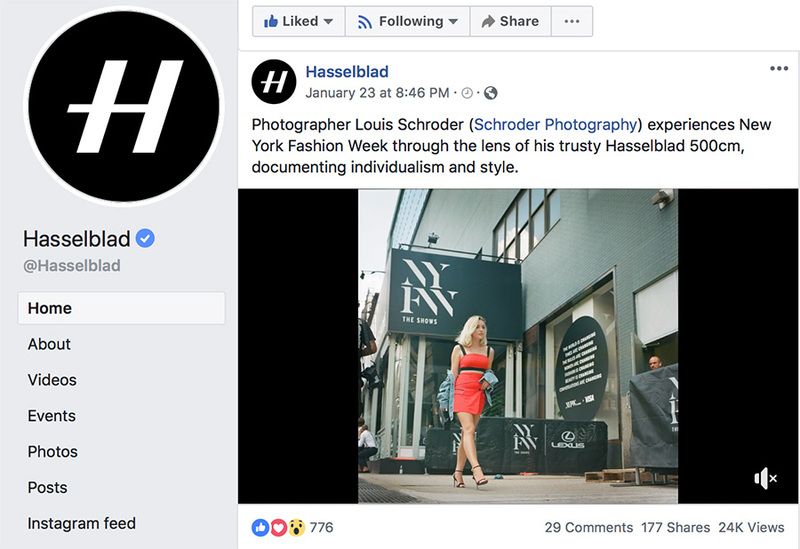 Hasselblad later informed me that the video has been extremely popular on their social media getting positives responses beyond the norm. Here are some screen captures from their sites and the full video below.